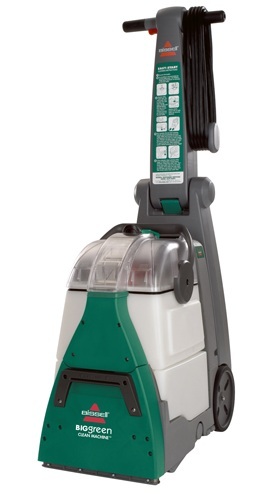 Carpet cleaning machines are also referred to as carpet steam cleaners. However, no steam is actually used. Instead, users can fill up the water tank with hot water for “steam cleaning” their carpets. 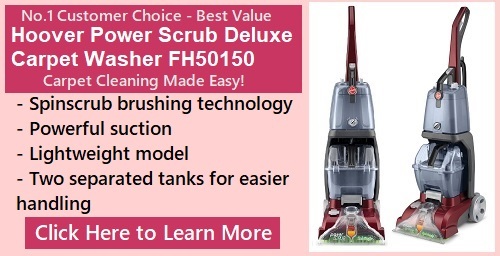 One can think of the term “steam cleaner” as a misnomer for carpet cleaning machines. Some shoppers are confused and think of the carpet steam cleaning process as one whereby a steam cleaner (that emits real hot steam), is used to clean carpets. These are two very different machines. You can see both of them in action below. 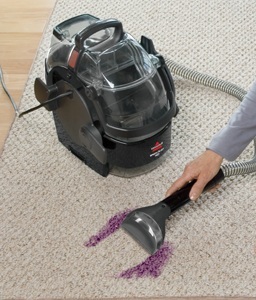 For sure, users can use a steam cleaner to steam their carpets. However, the steam cleaning this way is just done on the surface level and does not extract out any deeper dirt and stains in the carpets. Steam cleaners are great for cleaning hard floors, kitchens, sinks, bathrooms, bathtubs are more. For carpets, they could help on a surface level, even cleaning out grease and stains. The cleaning is nothing like what a real carpet cleaning machine/carpet steam cleaner can do. The carpets will continue to contain a lot of dirt if one were to just steam the surface. You need to use the right tools for the right situation. See the Introduction to Home Carpet Cleaning Machines guide for more background information.